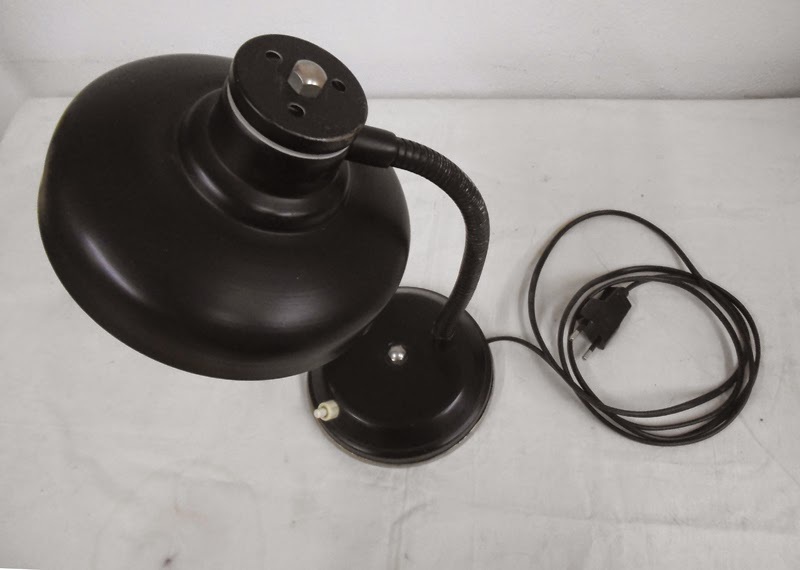 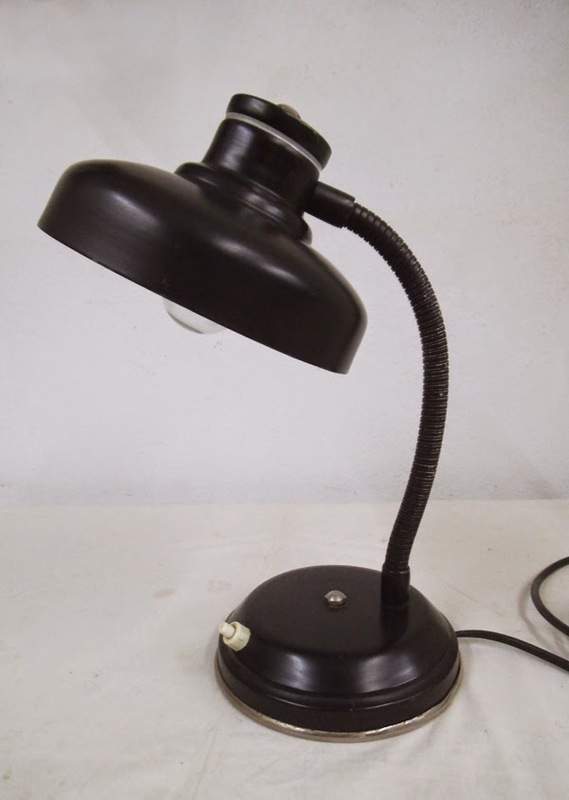 Small vintage desk lamp from the 70s with flexible goose neck. 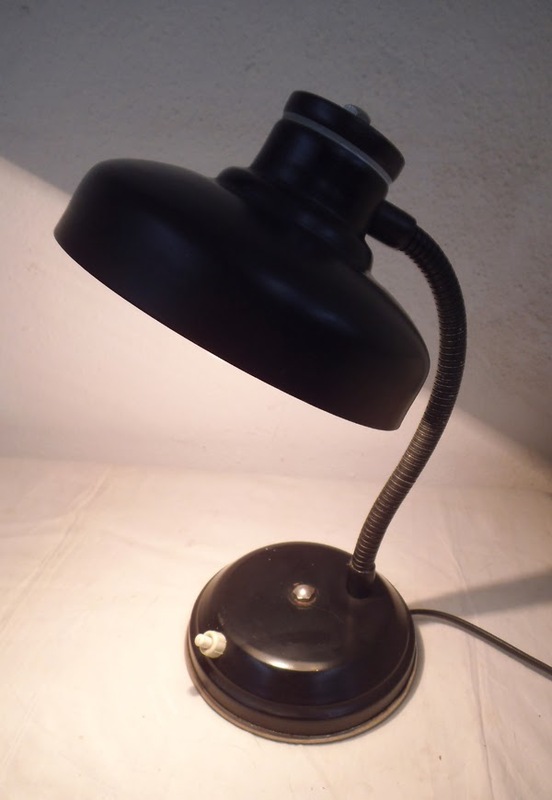 All in satin black, with a white stipe in the shade and some nice chrome details. 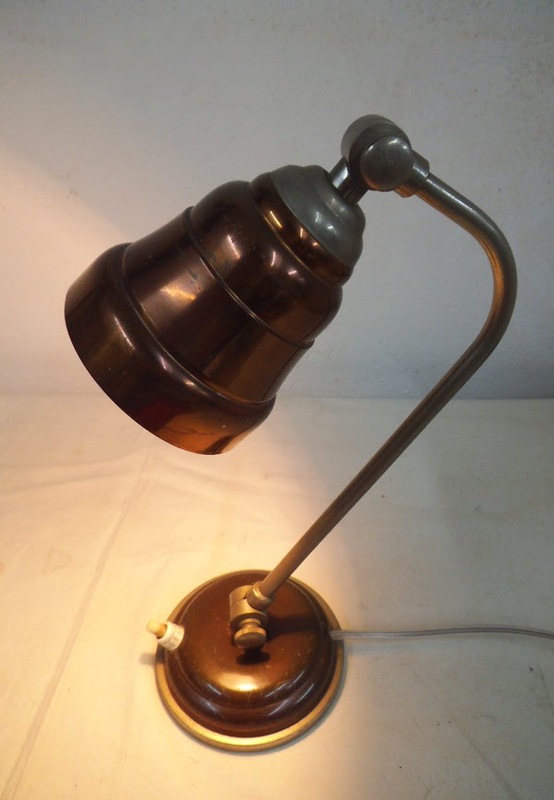 Measures: height 26cm, shade 16cm diameter, 9cm high. 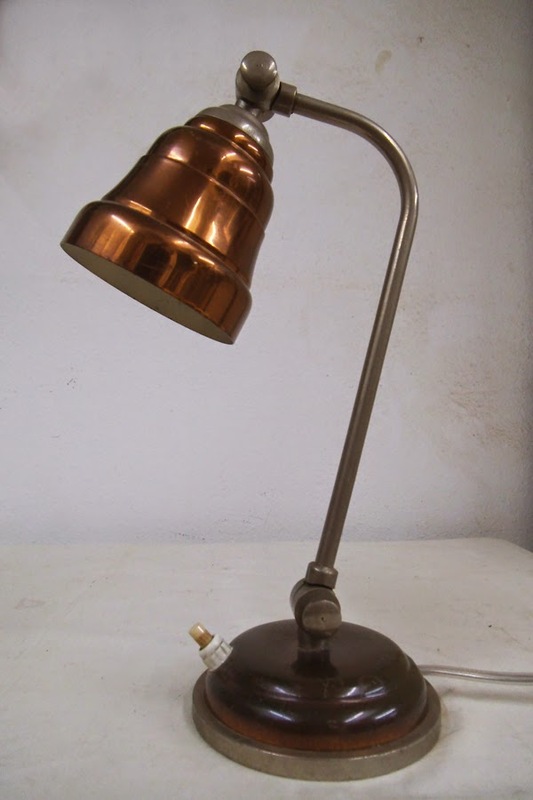 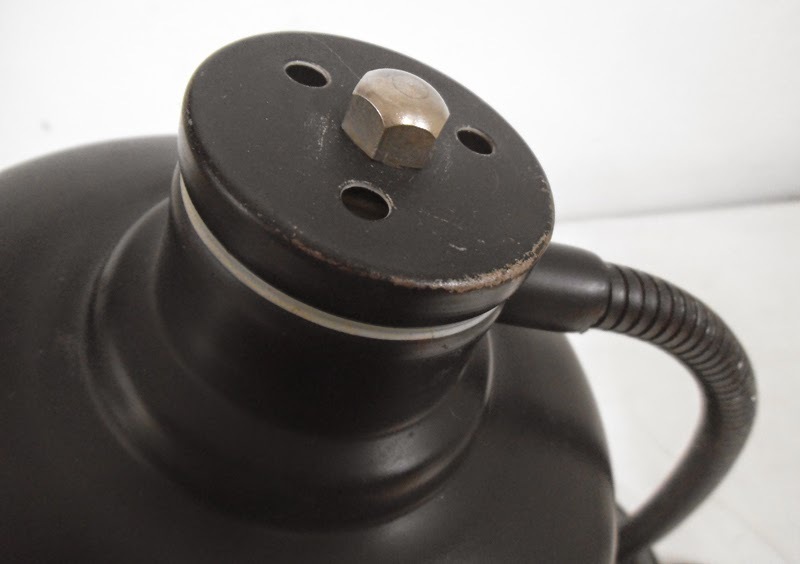 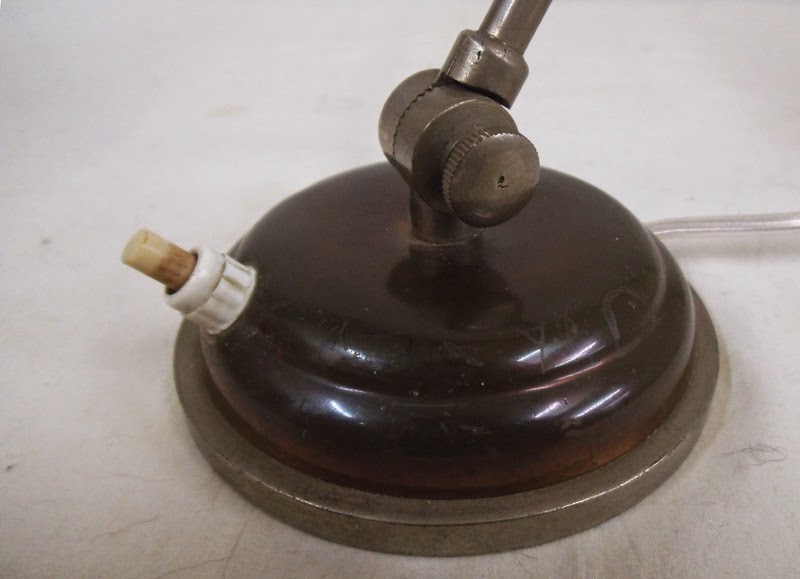 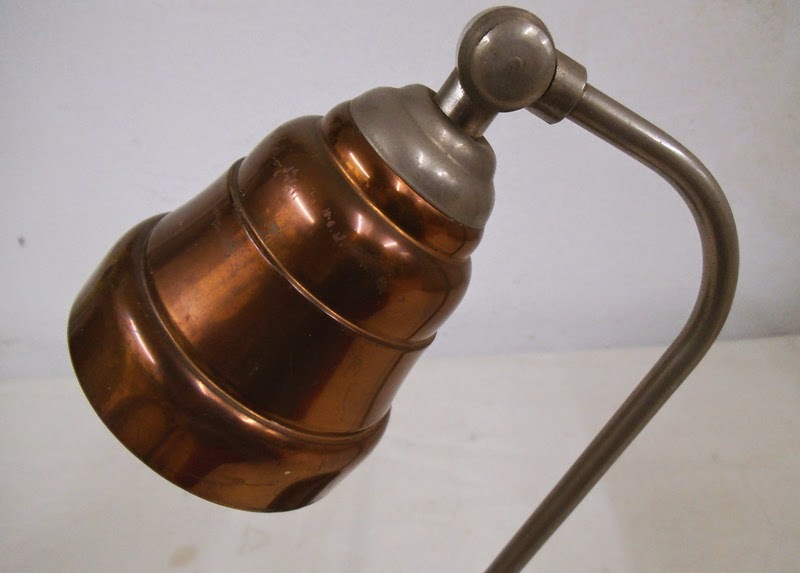 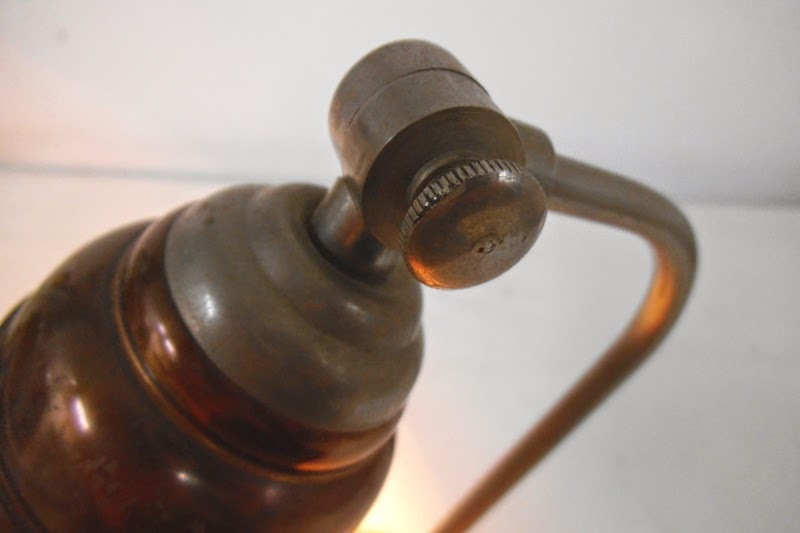 Beautiful vintage desk lamp from the late 50s that imitates the Turn of the Century designs. 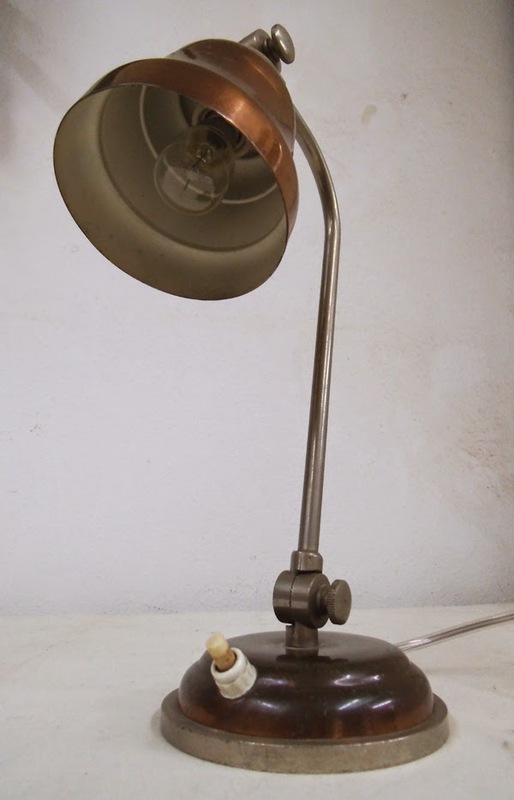 All in white and pink brass, with articulated arm and shade. 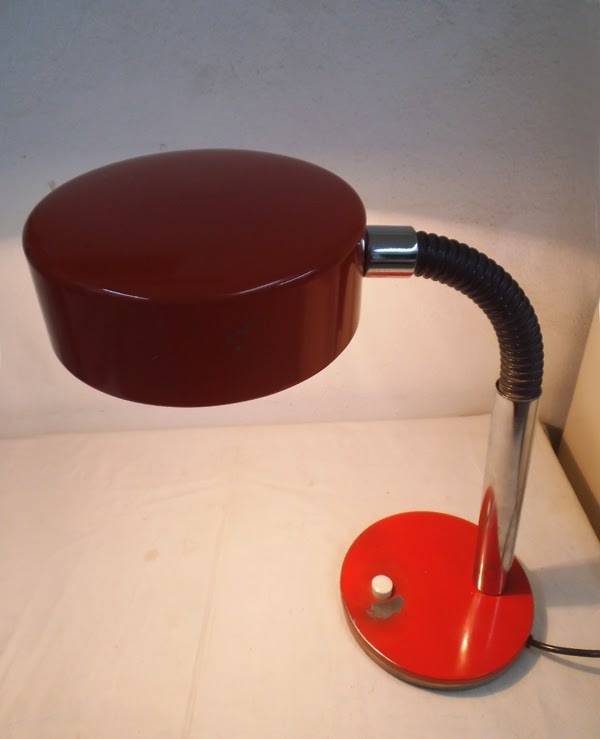 Measures: height 28cm, shade 8cm diameter, 9cm high. 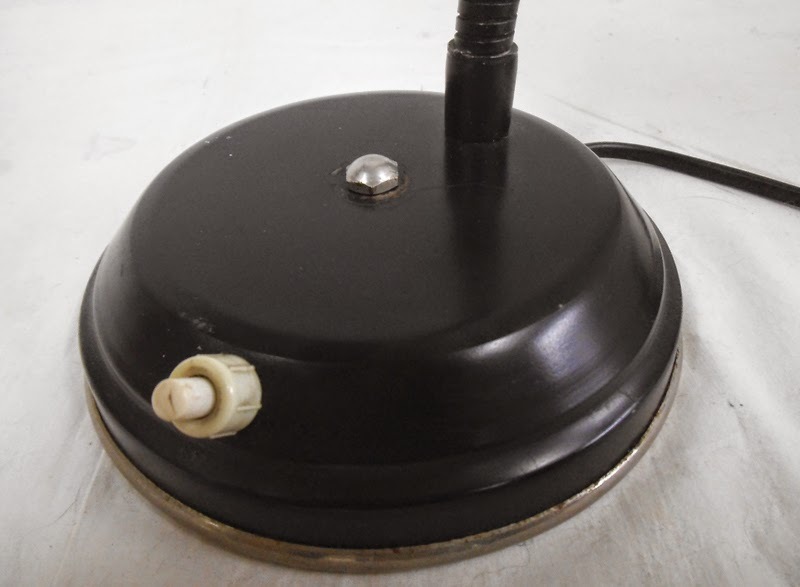 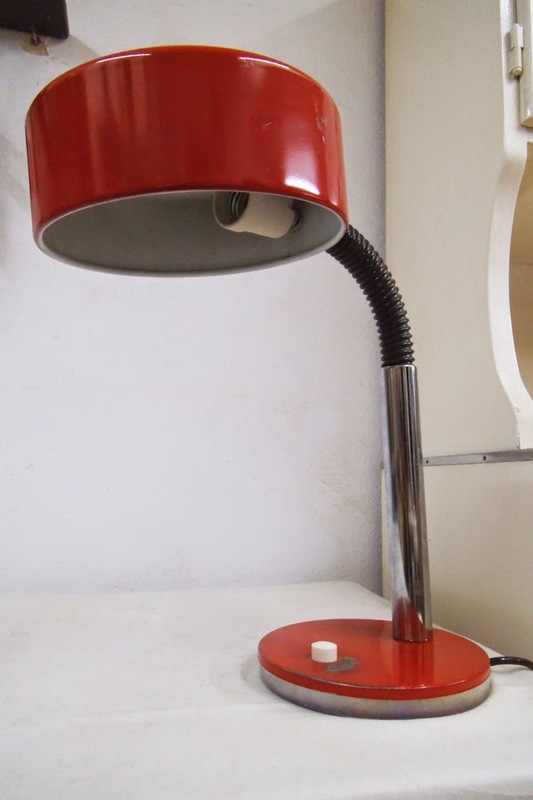 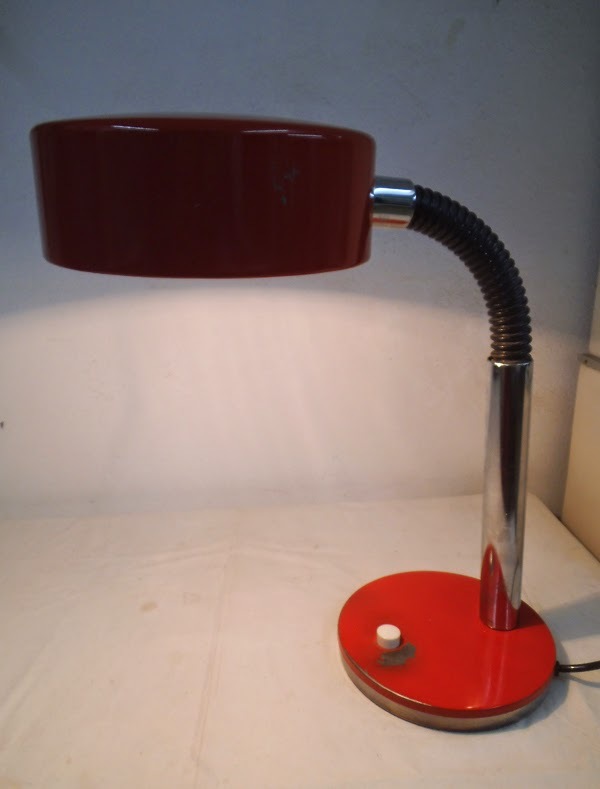 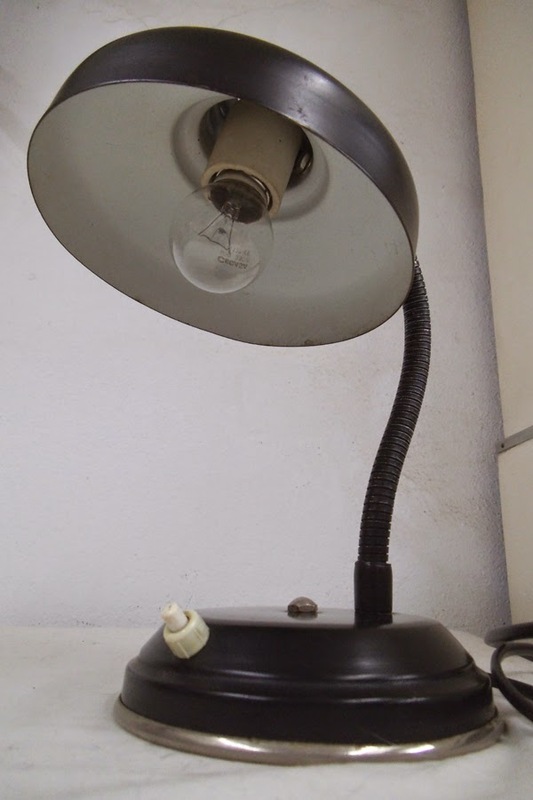 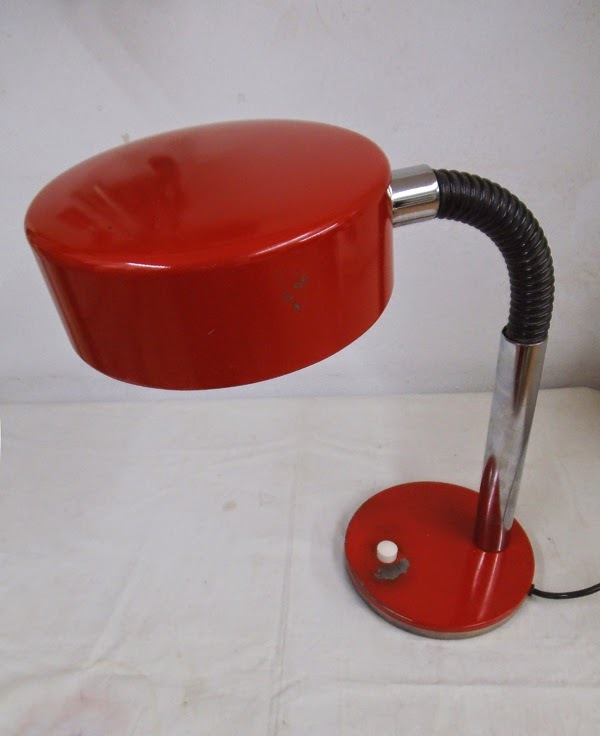 Big vintage desk lamp from the late 60s or early 70s. 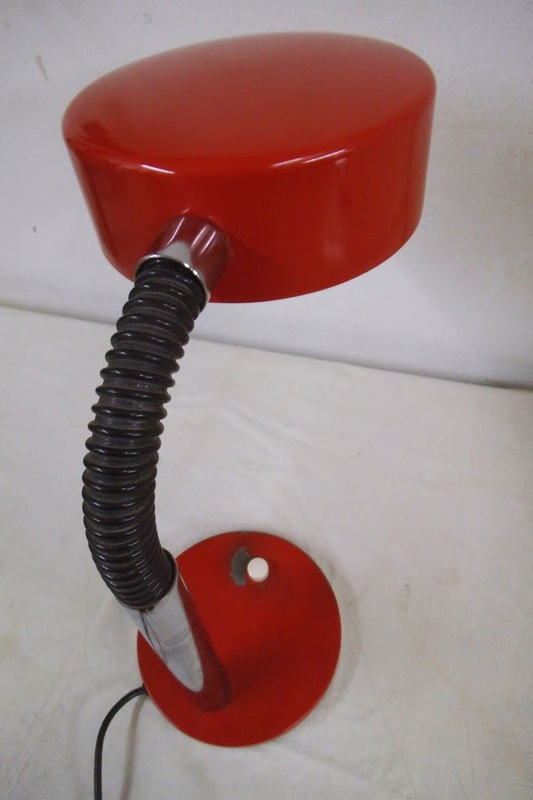 Foot and shade in bright red, half the arm is a flexible goose neck with black plastic cover, the rest a chromed tube. 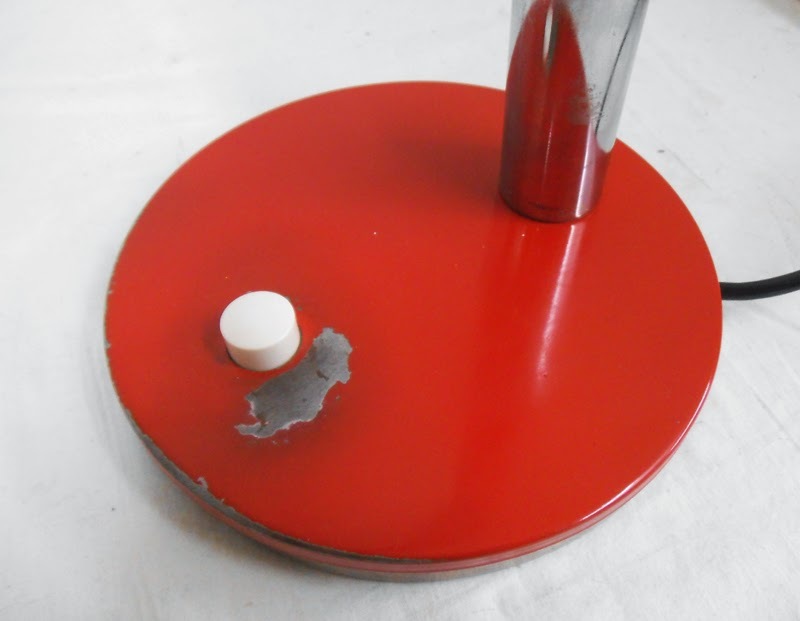 Measures: height 39cm, shade 19cm diameter, 7cm high.